Licensed Center offering Music and Movement Classes in St. Helena (Upper Napa Valley), California for infants, toddlers and preschoolers- and the adults who love them. The “Mixed Ages Class” is the essential Music Together® class, the one that a child can attend from birth through age five—and through all nine song collections. This basic class follows the recommendations of child development researchers—grouping children of a variety of ages in one class. This approach fosters natural, family-style learning where younger children enjoy watching and imitating older ones; older children learn by leading younger ones; and adults are happy because the children in the family can go to class together. Each child participates at his or her own developmental level in singing, moving, chanting, listening, observing, or exploring musical instruments. Our “Mixed Age” 45-minute classes include participation in the following: community singing, activities that include small and large movement, rhythmic rhymes in a variety of meters and tonalities, and instrument play-alongs. These fun activities are presented as informal, non-performance-oriented musical experiences that are developmentally appropriate for children and easy for parents and caregivers to participate in regardless of their own musical ability! Any caregiver — parents, grandparents, nanny, a special neighbor or friend — can bring your child(ren) to class (or attend with you) to share the Music Together® experience with your child! The Suns Class participates in “Rhythm Kids” drumming. Students in the Stars Class participate in Music Together in school. Both offer approximately 15 classes in each session, take home materials and participate in a Family Music Night with parents at school! As part of the Music Together® curriculum, Music Together specialists teach weekly music and movement classes in early learning settings in cooperation with classroom teachers. Classroom teachers then follow through on the weekly sessions, adapting activities to their curriculum needs and interests. Recordings, songbooks, and teaching materials are provided to each classroom and family. Children “bring the music home” for parent-child music play, sharing the songs and activities learned in school. Music Together® is an internationally recognized early childhood music program. Originally offered to the public in 1987, it pioneered the concept of a research-based, developmentally appropriate early childhood music curriculum that strongly emphasizes and facilitates adult involvement. Music Together teachers receive training by the Center for music and Young Children of Princeton, NJ. Music Together® Classes are based on the belief that all children are musical and need a stimulating and supportive music environment to achieve basic music competence. In class, children share in the pleasure of making music. Young children respond best to music with the active participation of parents/caregivers. The activities build on children’s natural enthusiasm for music and provide playful, engaging ways for children and adults to relate to each other musically. The Music Together® program emphasizes actual music experiences rather than concepts about music. Designed to bring families together through music and the program encourages family participation in spontaneous musical activity occurring within the context of daily life. 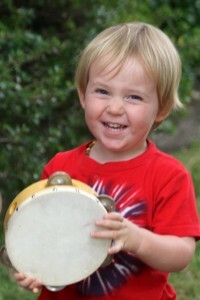 Music Together® classes are based on the recognition that all children are musical!